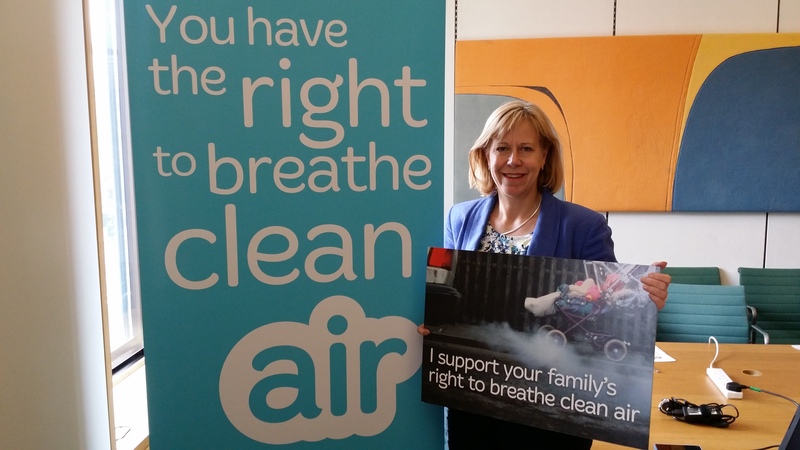 Ruth Cadbury has today spoken out on the issue of air quality in West London. Shortly after the Government lost a High Court bid to delay publishing its draft plan to tackle air pollution, it is clear that the issue is one on the minds of many residents of Brentford and Isleworth. Ruth has worked closely with community groups, cross-party with other MPs and alongside the Mayor of London, Sadiq Khan, on this highly important issue. As co-chair of the All-Party Parliamentary Group on Cycling she has worked to publicise the benefits of alternative forms of transport. Ruth says: “Every year in London 10,000 people die prematurely because of poor air quality. The Labour Party has set out a commitment to a Clean Air Act which it will implement if elected, a commitment which I absolutely support. “I have been privileged to work with several community groups, including Brentford Air Quality, to raise awareness of the impact of poor air quality on the lives of West Londoners. The A4/M4 corridor has some of the worst air quality in London and expansion at Heathrow would make things even worse. Heathrow will remain our biggest employer and the UK’s premier airport, however a third runway will mean more traffic, more congestion and more deadly air pollution.